After we vibe all day at Cuffin’, we continue with amazing eats & beats for a very special edition of Dinner & A Mixtape X Palihouse West Hollywood. After 7 PM join us in the Courtyard restaurant, Mardi. Food service will begin at 7:30. 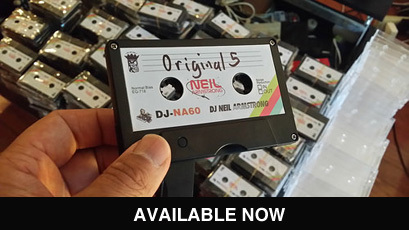 “Dinner & A Mixtape” is the name of a worldwide series of events hosted by DJ Neil Armstrong, sharing his love of music & good food. Started in 2013, they have been held in NY, Hong Kong, Toronto, San Francisco, Austin Texas, Portland Oregon, Seattle, Las Vegas, Phoenix & even Manila Philippines. The idea is simple – partnering up with great restaurants around the world, Dinner & A mixtape provides the opportunity to enjoy music & food together in a very unique setting. Often the restaurant will creat a special menu just for the event, and the soundtrack is provided by a new installment in DJ Neil Armstrong’s Mixtape Library. Part eating experience, part listening session. The food nourishes the body, and music feeds the soul. For this episode of Dinner & A Mixtape the nights menu has been specially crafted by Chef Kris Tominaga . The meal will be presented Family Style, and an optional wine pairing will be available. All attendees will also take home a special Palihouse X Cuffin branded copy of DJ Neil Armstrong’s latest on cassette USB.